School of Communication students and faculty gather for a group photo at Sky Italia. Point Park University School of Communication students in the International Media Class traveled to Italy for 12 days in May to get an inside look at how the media operate and learn about the culture. 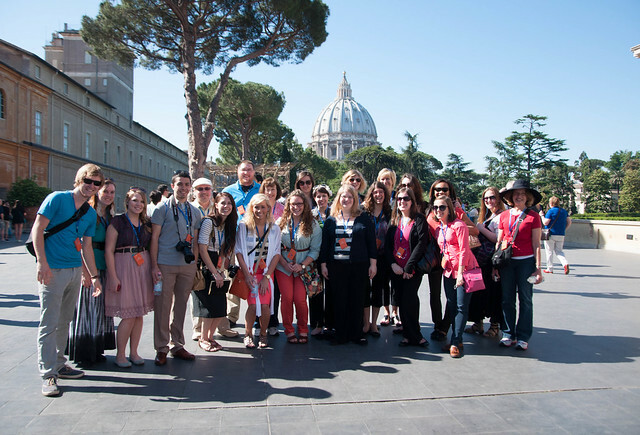 Students and faculty toured print, radio and television stations, an advertising agency, universities, and a number of cultural sites in Rome, Florence, Assisi, Siena and Sorrento. The group met with leading industry professionals, including Pope Benedict XVI's chief information officer, and listened to a lecture at the American University of Rome regarding the role the Italian media played during the Amanda Knox conviction, trials and appeals from 2007 to 2011. Learn more about the students' experiences by visiting the student-created website www.pointparkjournalism.com/italy.